See the rainbow. Taste the rainbow. You can see why this appeals to me. 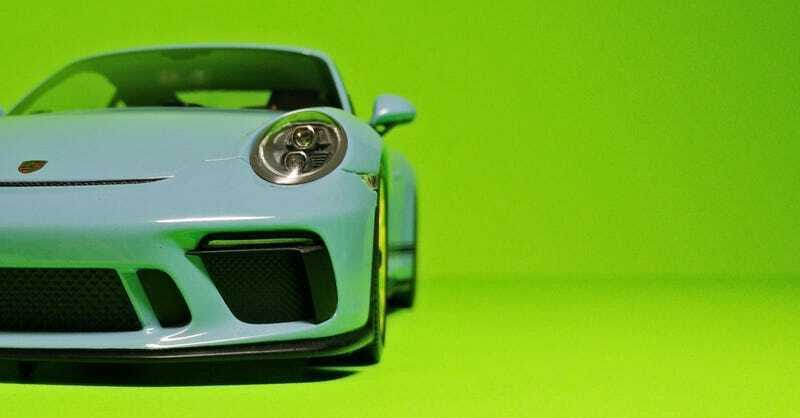 This facelifted 991 GT3 is based off a real-life, custom spec example, and it’s totally brilliant. The model is, once again, a Minichamps. The base color is gulf blue. The wheels range from hot pink to lime green to orange to teal. Why aren’t there more cars like this?